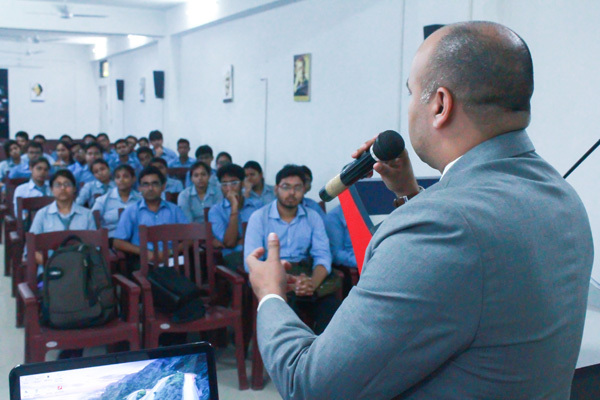 A pre-requisite of being one of the most flourishing engineering colleges in Kolkata is that Brainware Group of Institutions takes special care about the all round nurturing and development of the students, especially those who are staying away from home. We have implemented a unique system of student mentoring that divide the students into groups and assigns a specific faculty member to them as their mentor. The mentors not only help their respective wards academically but also support and advise them in their daily life as and when required. Acting as their local guardian, the mentors are like a reassuring hand on the shoulder. We understand that the students are going through a vital age where constant advise, encouragement and consolation is beneficial to the building of their character and moral fiber. The mentoring system offers them that.